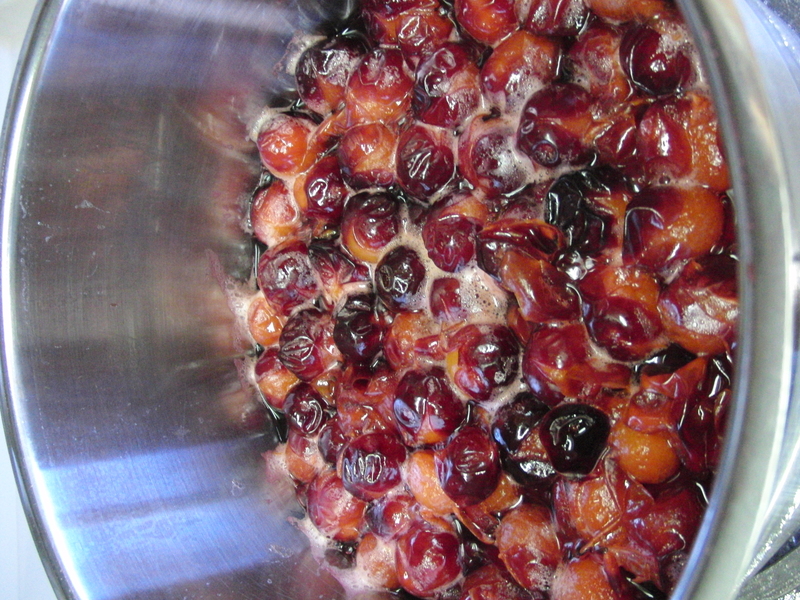 Heat fruit with water in a saucepan to a boil. Add sugar to taste, depending on tartness of fruit. Add a mixture (thoroughly mixed – shaken) of flour and milk and then baking soda to prevent curdling. Cook until mixture reaches desired thickness – add more water if necessary. Be careful not to eat the pits! Mix ingredients (above), put in cake pan, and put fruit on top. Mix and put on top of fruit. Bake at 350 for 45 mins.